Roberto Lopez | Viva Clipper ! – With this upgraded version HMG applications can be made available in all human languages. This is a huge innovation, especially from non-latin alphabets users. Download source files from here. Since HMG-IDE is an Integrated Development Environment, it’s possible building an entire project from scratch under HMG-IDE. But this doesn’t mean “without coding”. 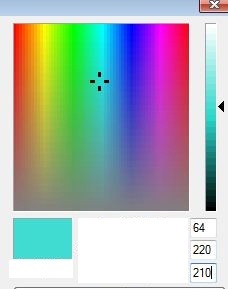 So, we can develop all GUI necessities of our project via HMG-IDE; but what, always we will need some little coding. Simply run IDE.exe and then select “New Project”. 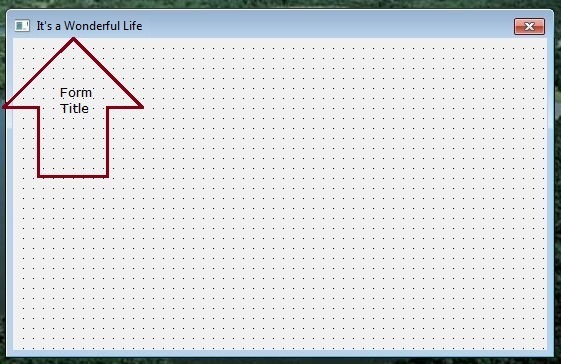 When IDE ask, select (or build a new) a working folder and give a name (say Viva_HMG) to the project. 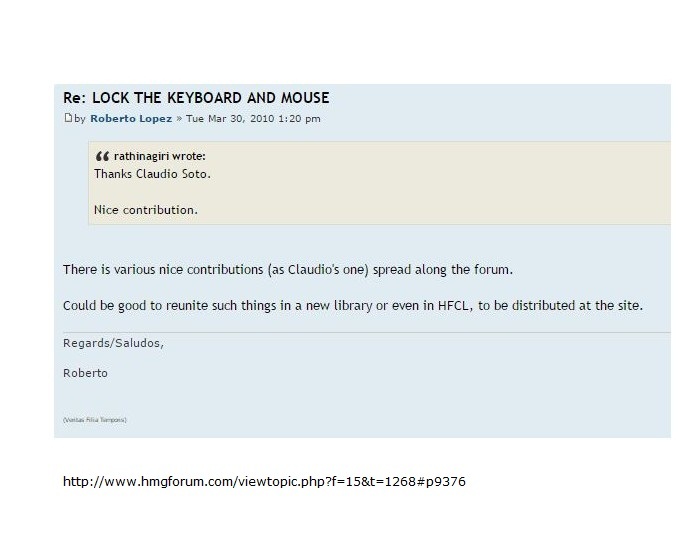 .hbp extension will be assigned by IDE to project file. Whenever IDE build a new project, automatically build and open a module file with name Main.prg and a form file with name Main.fmg. 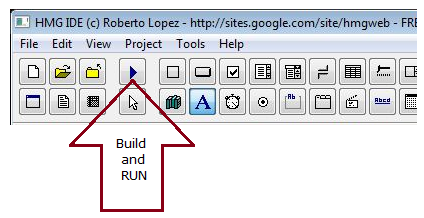 Module file open by your text editor and form file open by IDE itself. 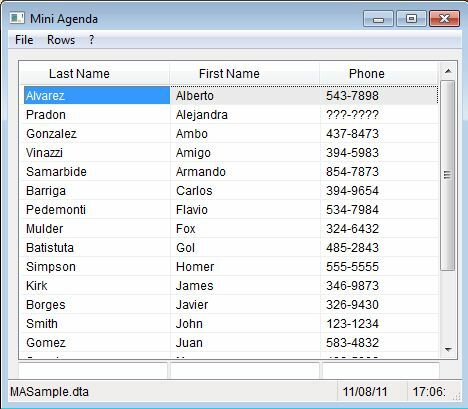 – For using GUI controls, every HMG project have one ( and only one ) “MAIN” form. So, names of both module and form files are “Main“. – “Window Type” property of one form must be “MAIN“. 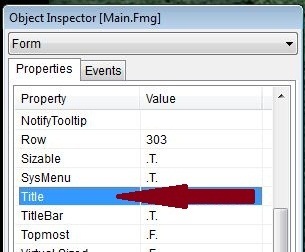 You can see “module” tab of Project Browser window “(Main)” sign adjacent to the Main.prg and at the bottom line of “Properties” tab of Object Inspector “Window Type” property of “Main” form already set “MAIN” by IDE. Now, we can work on our first form. First we can give a name to it. There isn’t “Name” in the properties list of our form ! – Basic rule 3: Every HMG form has their own name. Only exception is: a form to be LOAD, has a unchangeable name: TEMPLATE. If you don’t use an “alias” in that way, you will use in all references of form by its file name; in this example : “Main”. Now, its time to give a “Title” to the form. 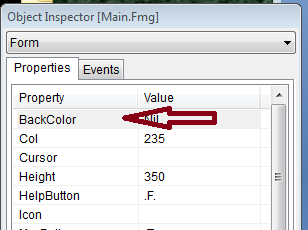 Double click BackColor in the properties list. Press RUN button and look to your application in work. 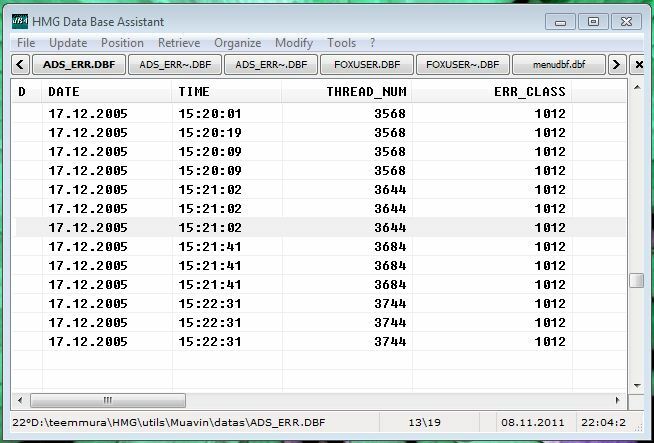 DBA is an imitiative work to the © dBASE III’s Assistant. It may be an easy tool for people who are familiar to this base architecture of the whole x-Base family. “Le Roy” Roberto Lopez ( Initiator, Builder and Developer of © HMG ). Without this two big men and their volonteer coworkers, DBA ( and many others of course) couldn’t be exist. 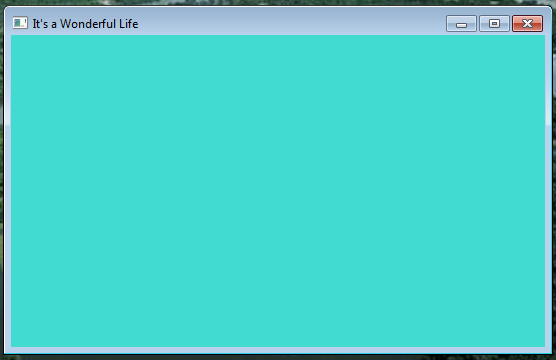 Download ( setup executable ) here. This is a mini application developed primarily to denote some wonderful features of HMG. This is a UCI ( User Compenent Interface ) example. Two Methods for Tree is a Freevare HMG UCI sample. 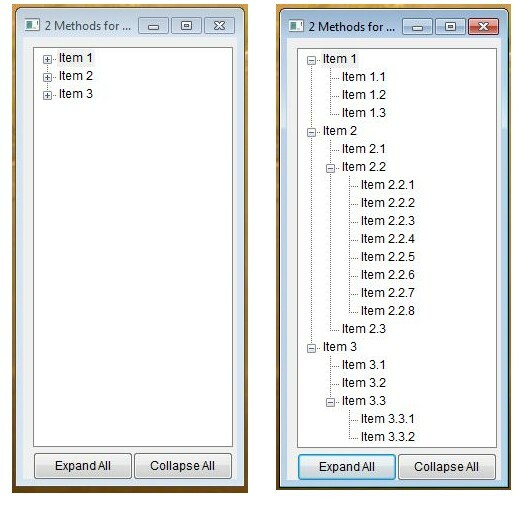 Addition of ExpandAll() and CollapseAll() methods to control TREE. Download ( source only ) here.